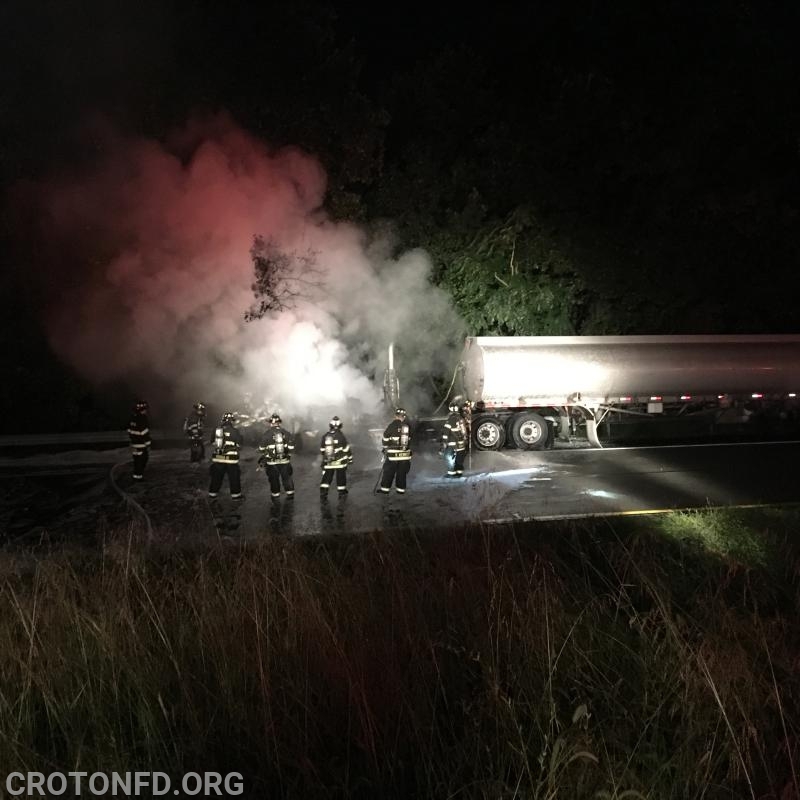 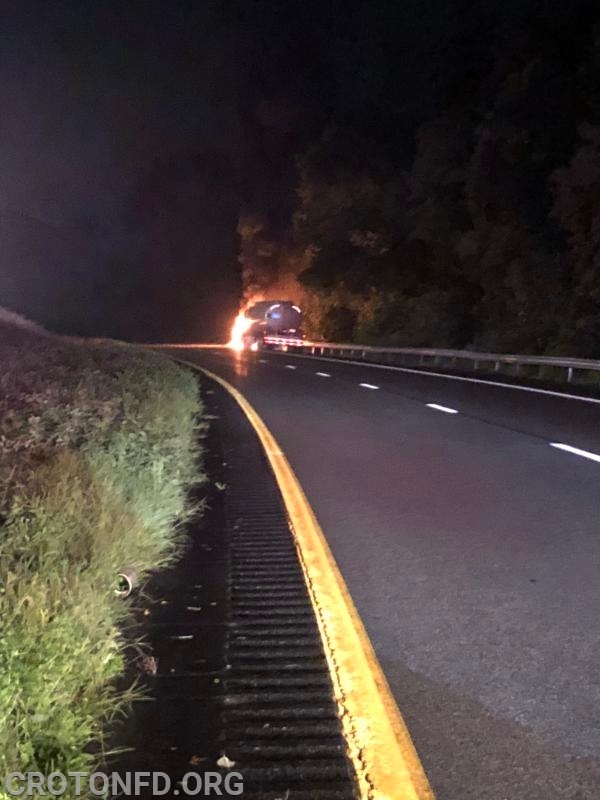 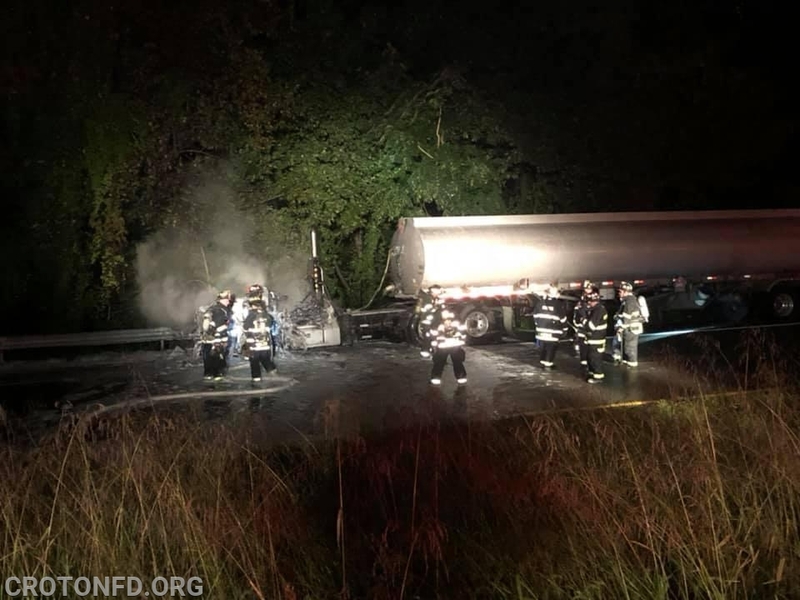 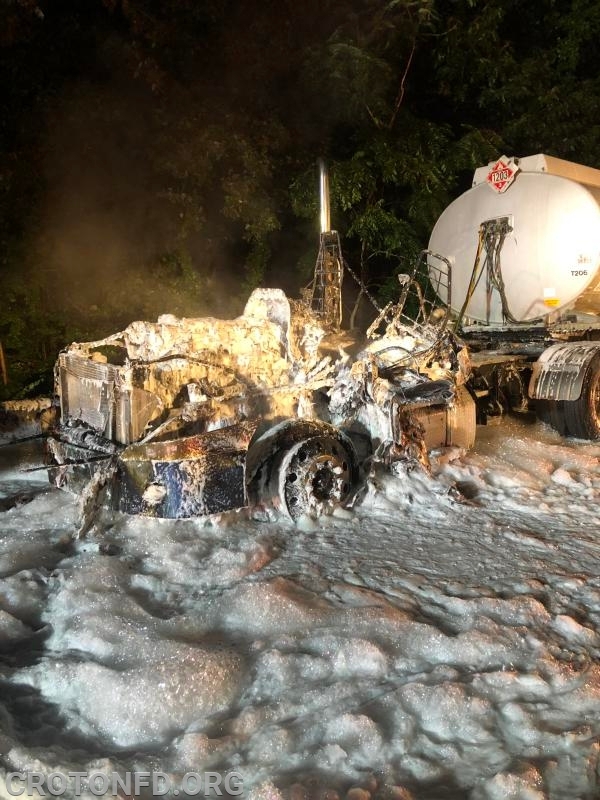 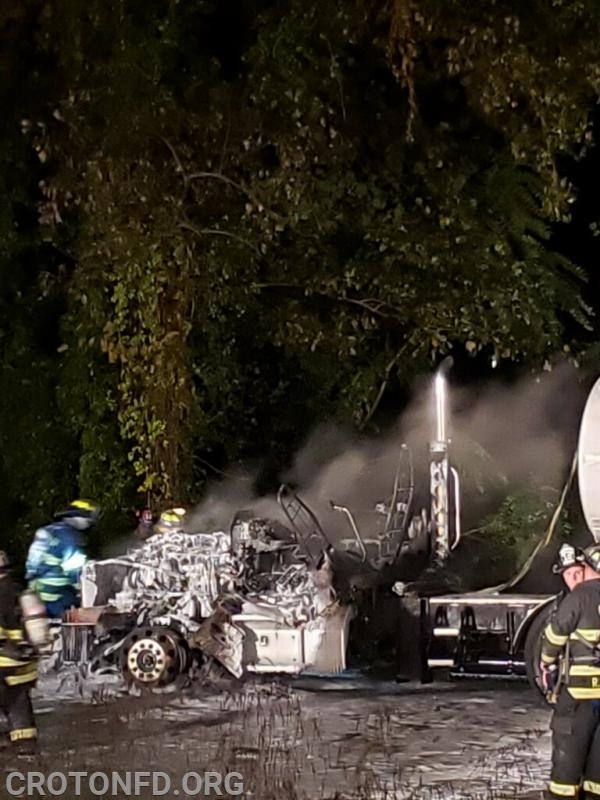 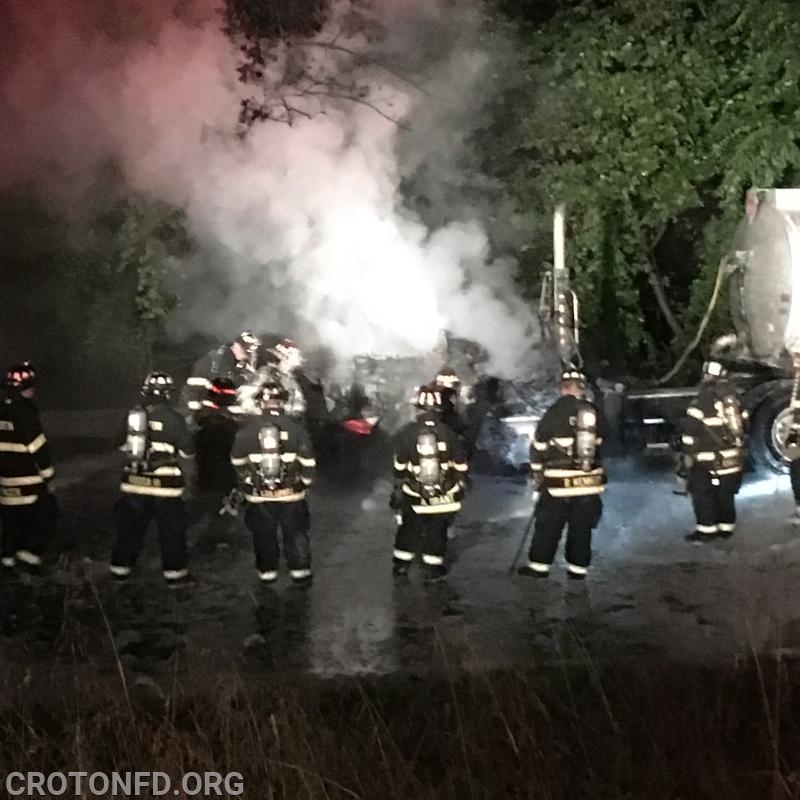 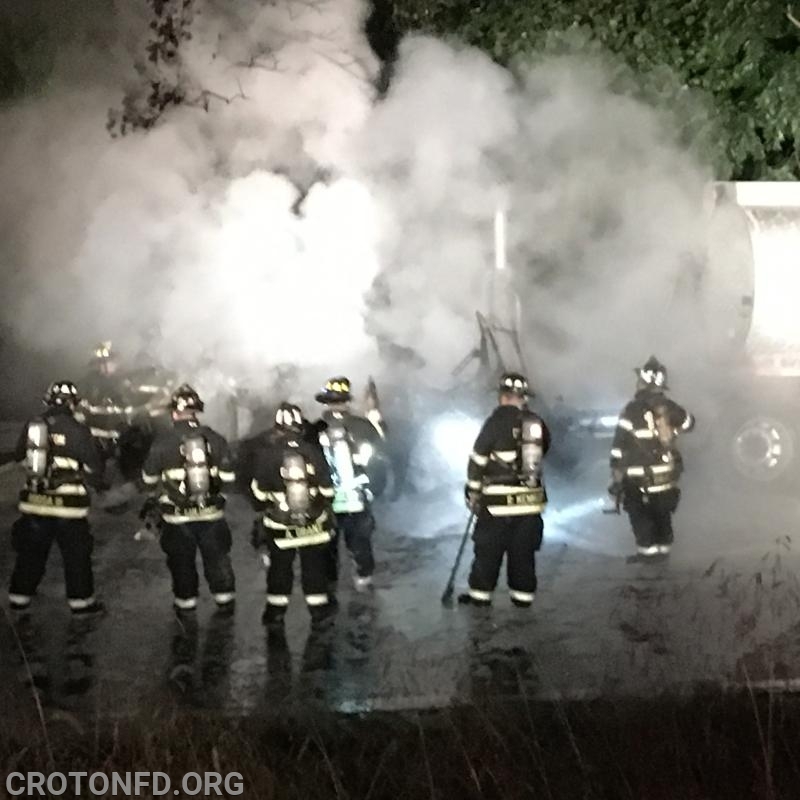 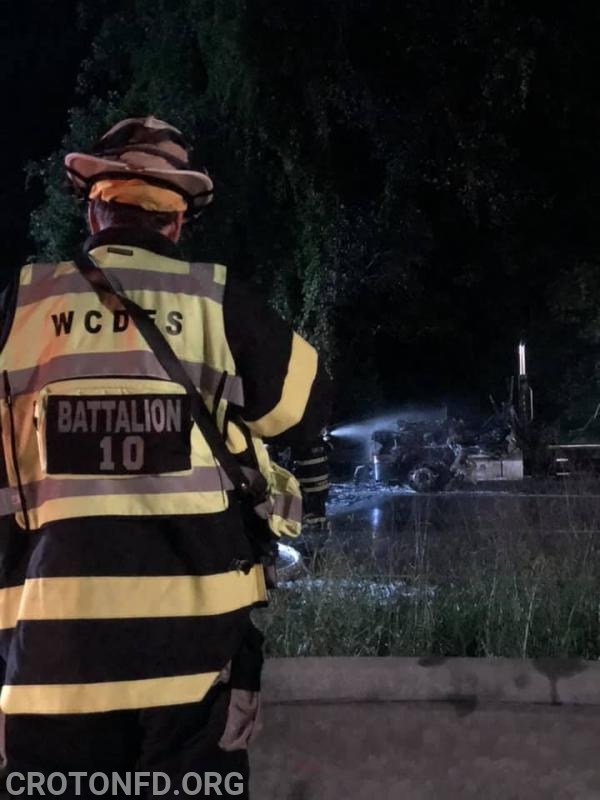 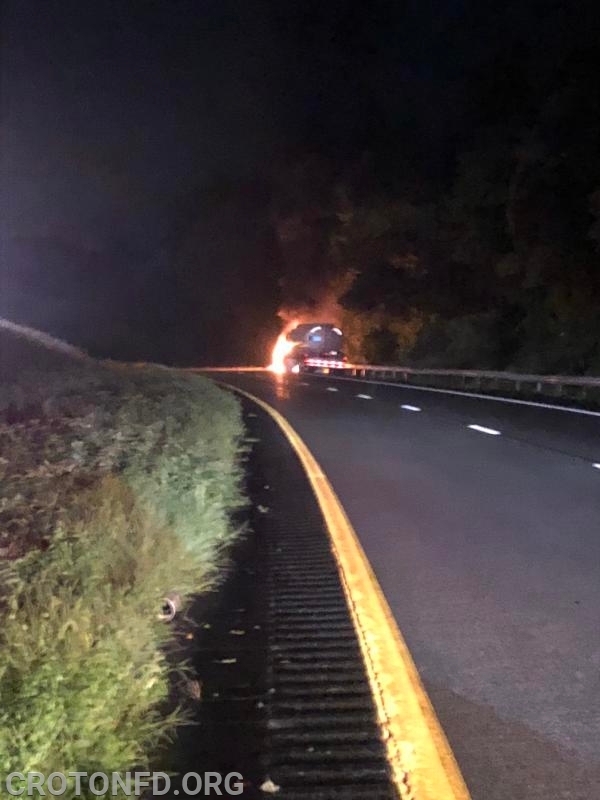 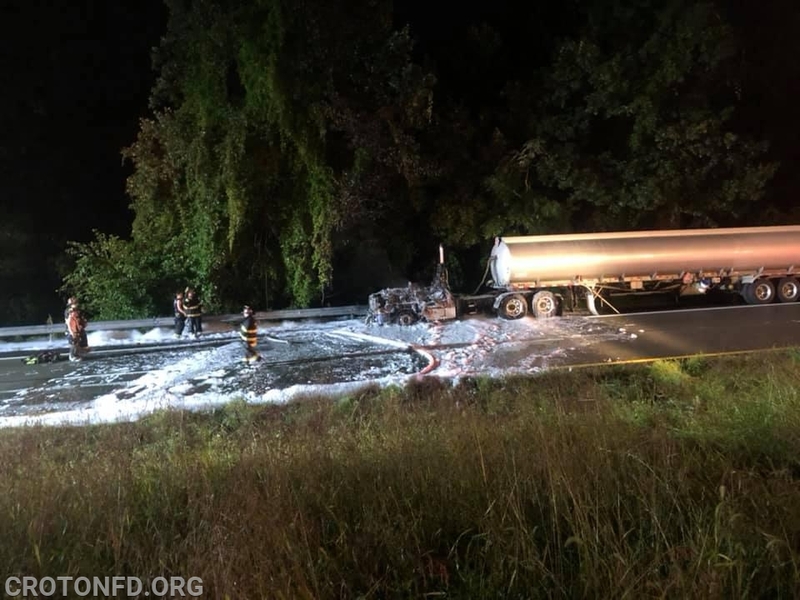 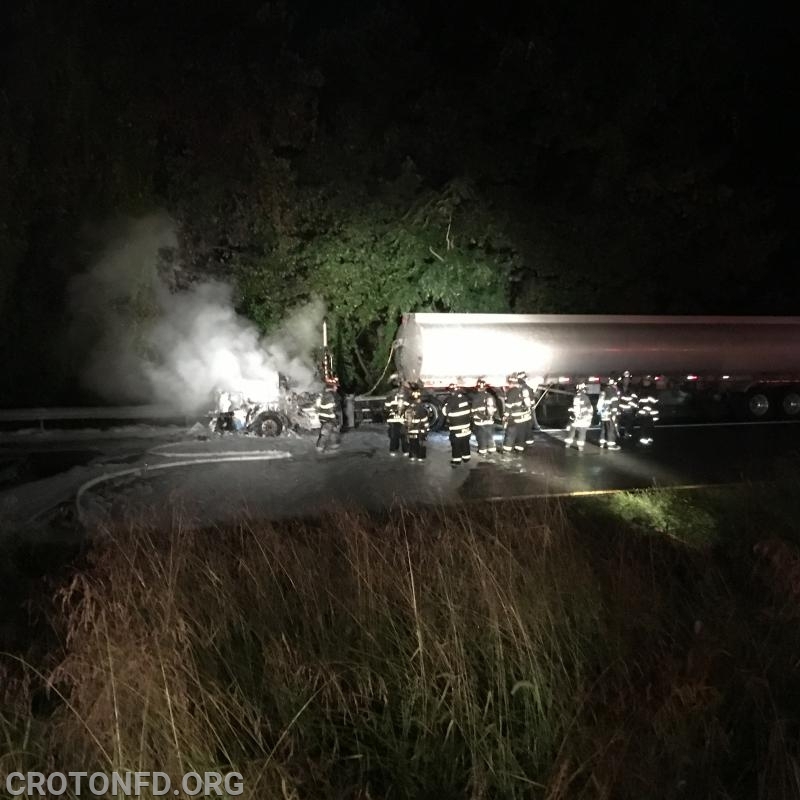 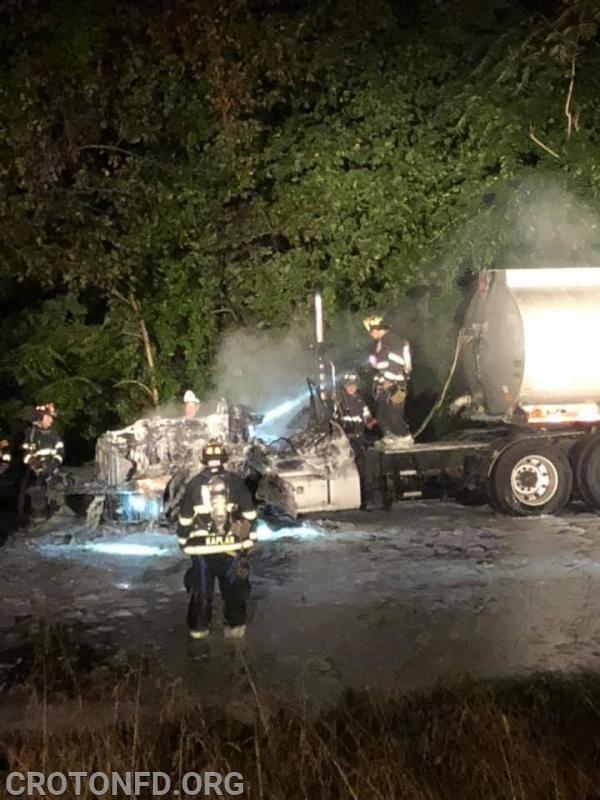 Car 2082 (Assistant Chief Munson) was first to arrive, confirming that the tractor portion of the truck was "well off" in fire and added Engine 120 to the assignment along with originally dispatched Engines 119 & 118. 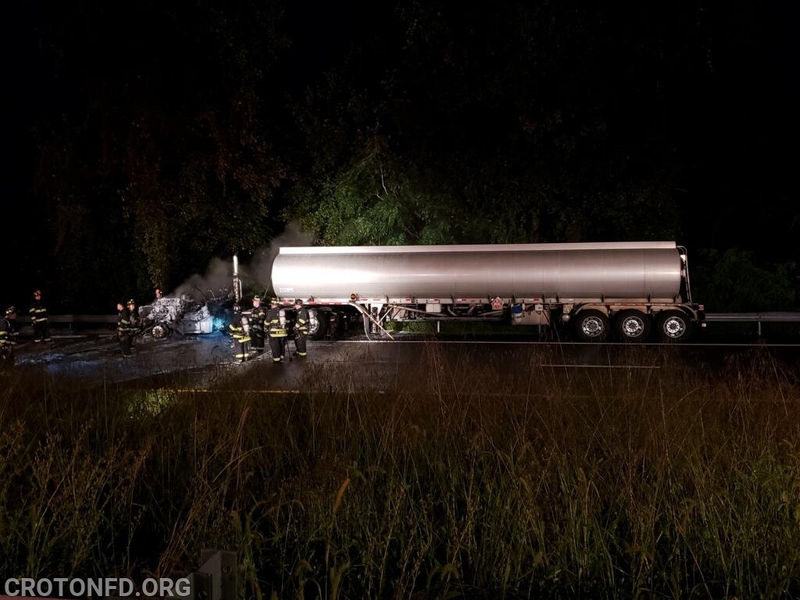 Car 2083 (Assistant Chief Dinkler) made contact with the driver who reported he was hauling gasoline, not heating oil. 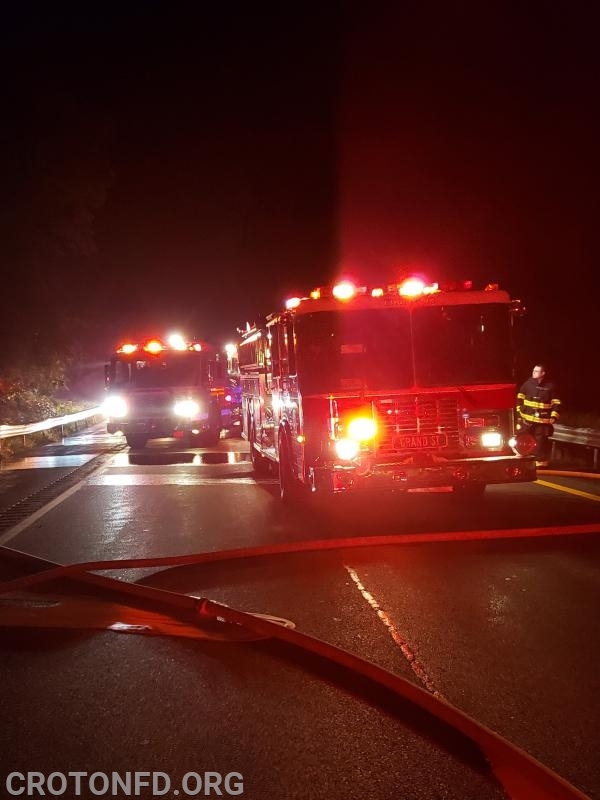 Command directed E119 to hit the fire with their Deck Gun from the northbound side to darken it down ASAP. 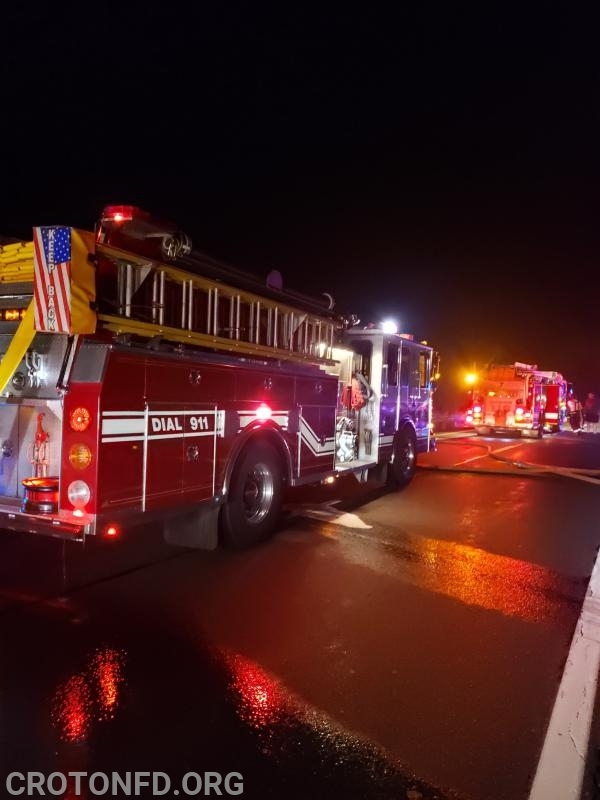 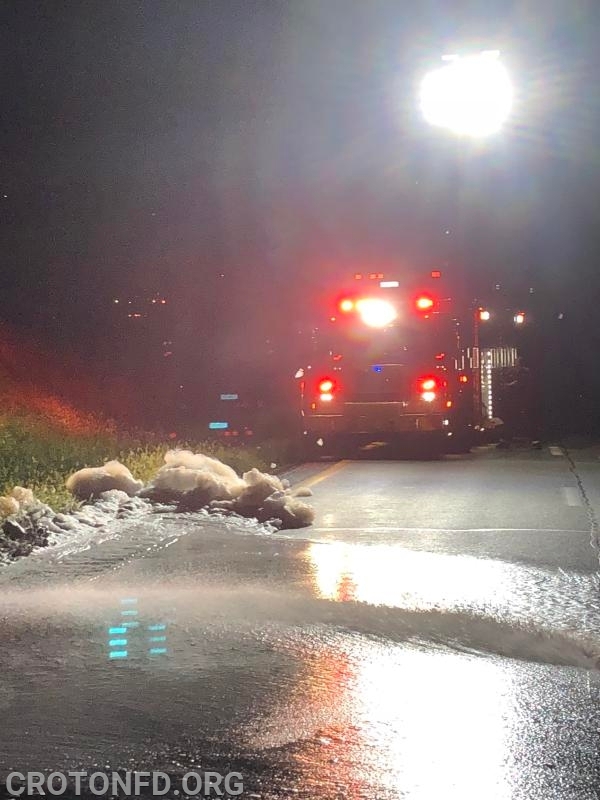 Once E118 arrived, two hose lines were stretched by the members of the two Engine Companies to extinguish the blaze, using the onboard Foam from E118. 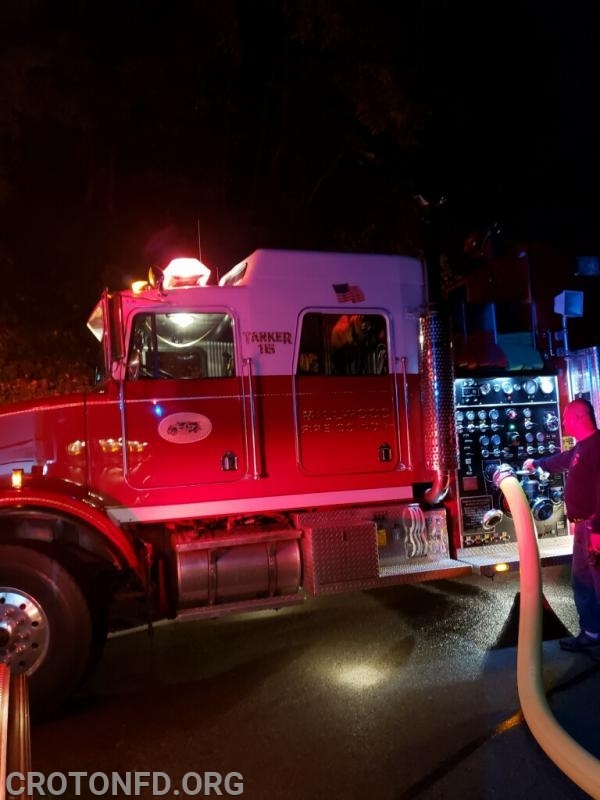 E120 arrived and fed it's tank of water into E118 and, at this point, Command added a Tanker from Millwood to the assignment, as our T10 is out for repairs. 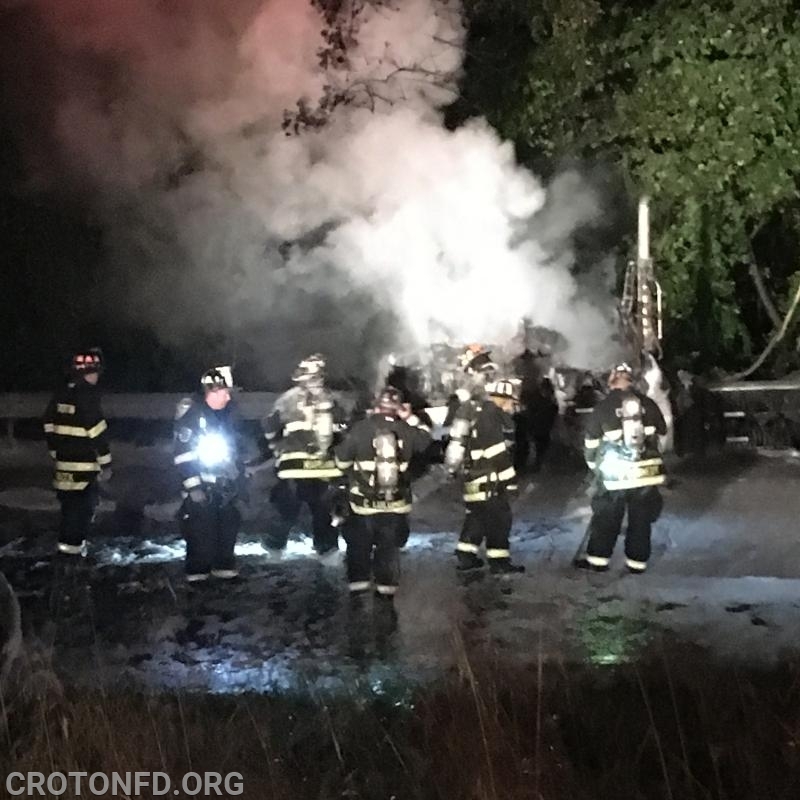 Command placed the incident under control 40 minutes after arrival. 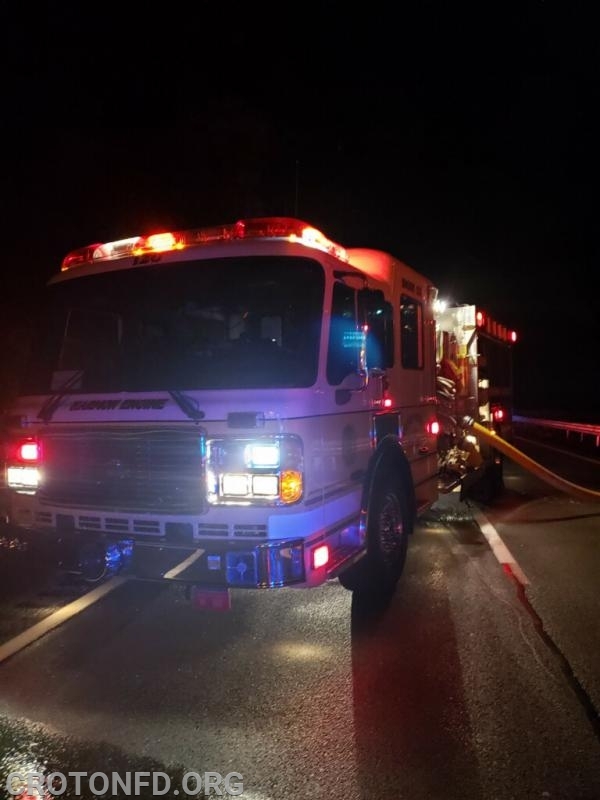 Thanks to the quick and ample response of our volunteers, this fire was stopped before it became a major fire emergency. 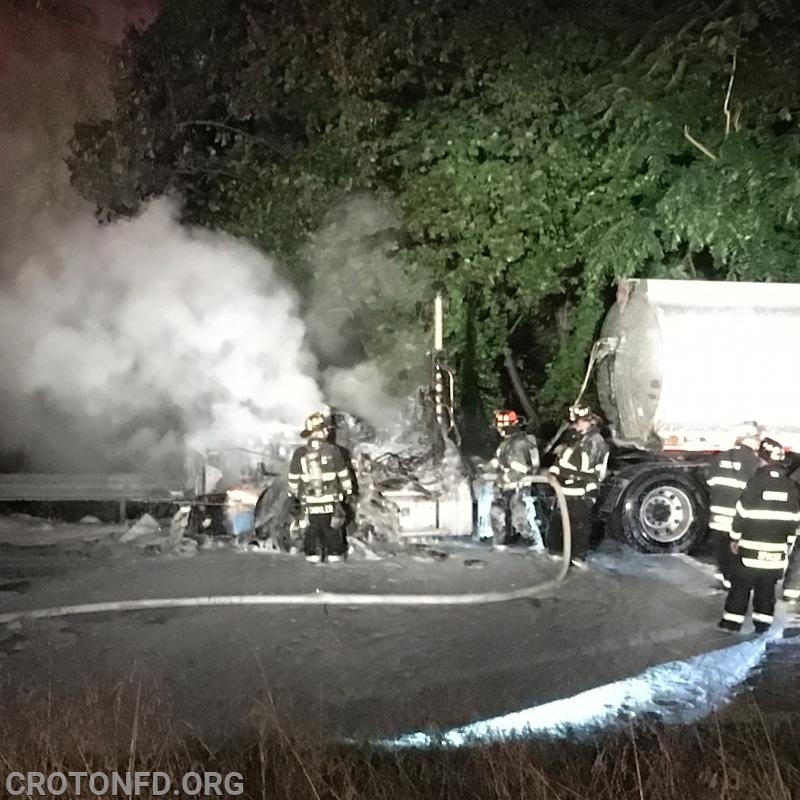 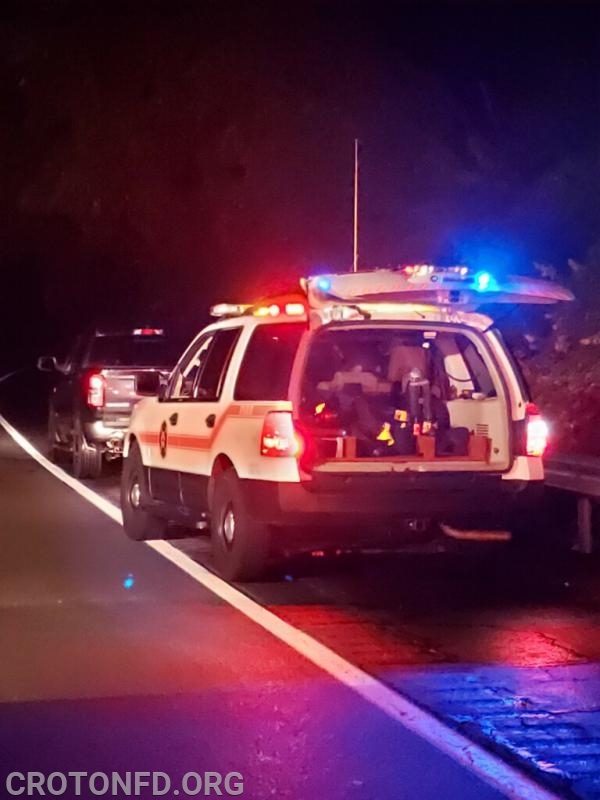 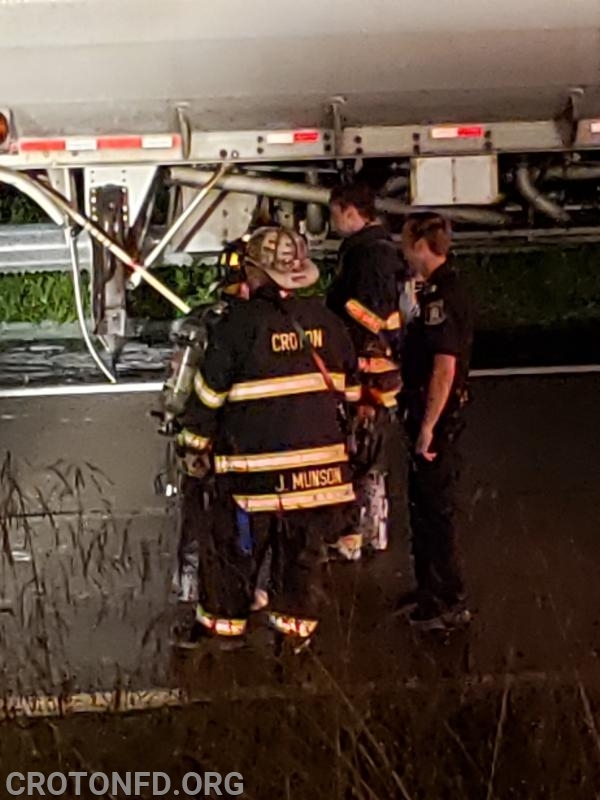 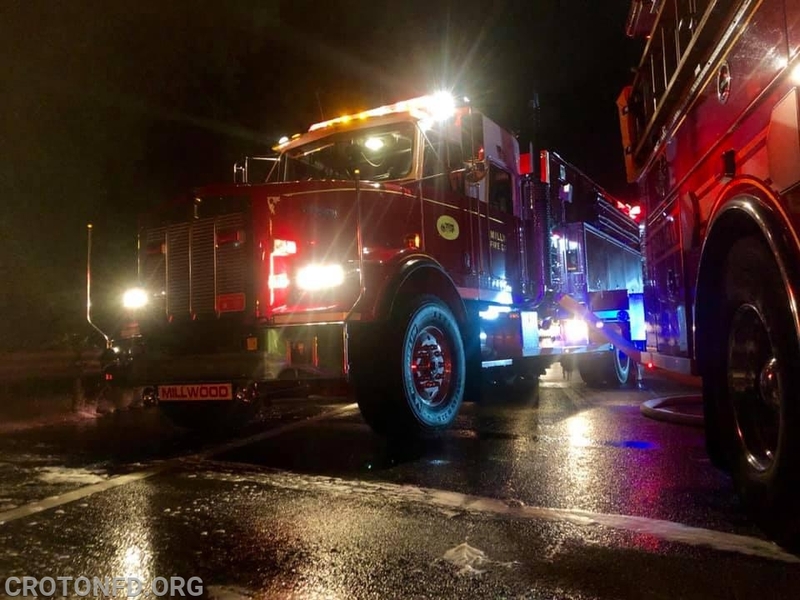 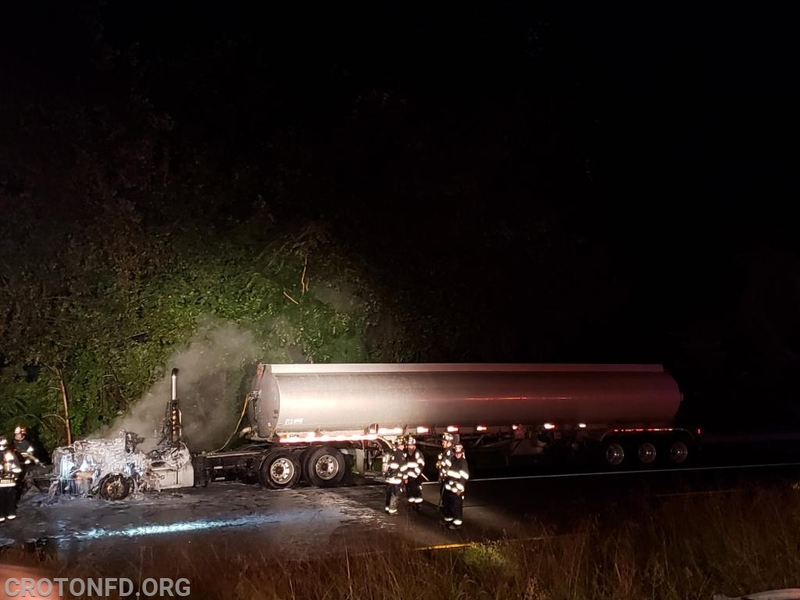 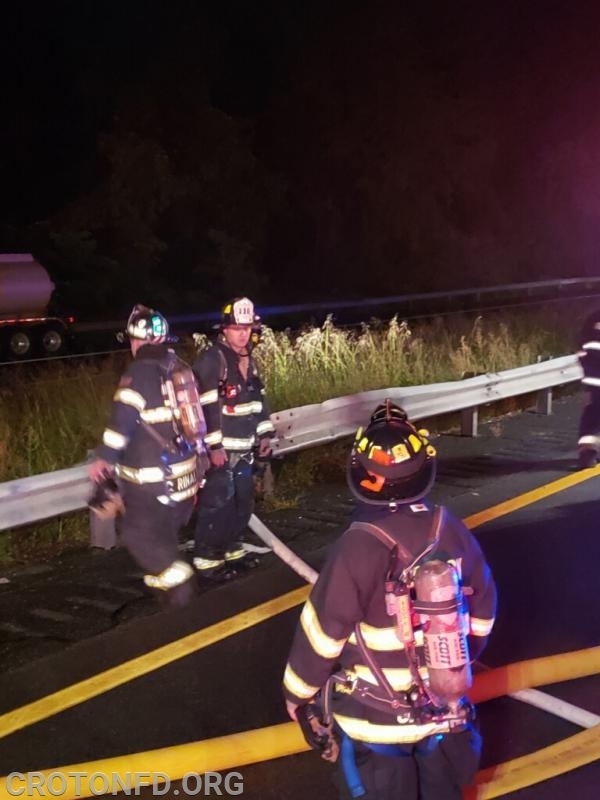 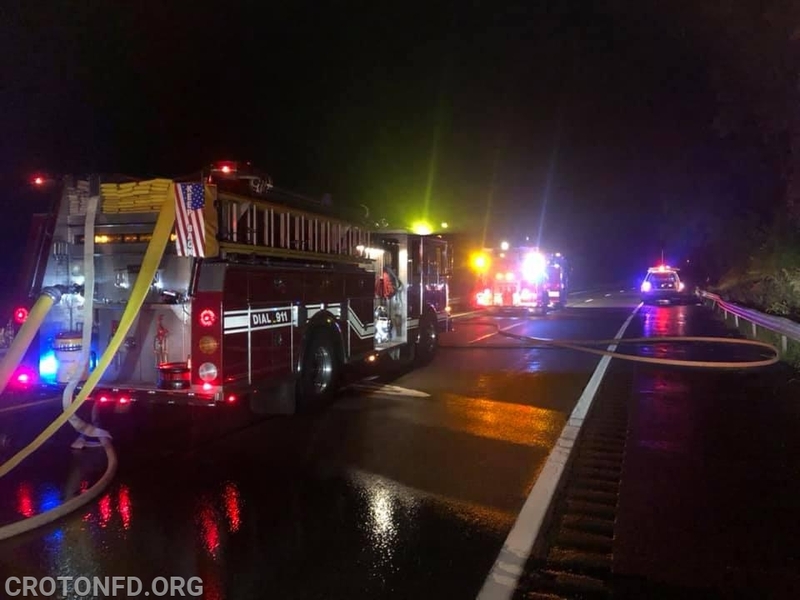 Rescue 18, Utility 14 and Car 2082 remained on scene for three hours to assist with the removal of the truck, while Car 2083 and the three Engine Companies returned to Quarters to pack up and remain on standby until everyone cleared the highway. 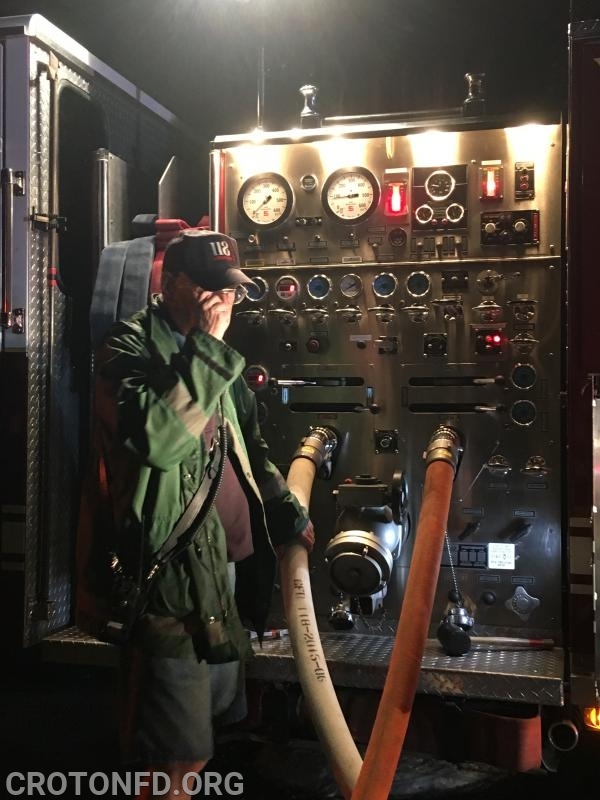 About 20 CFD volunteers answered this call.